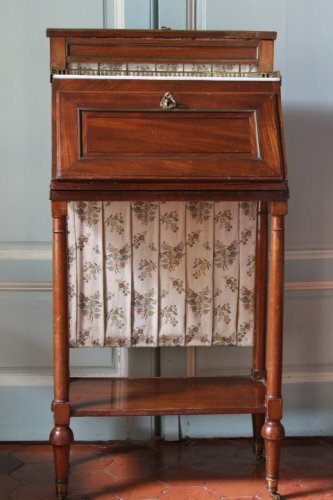 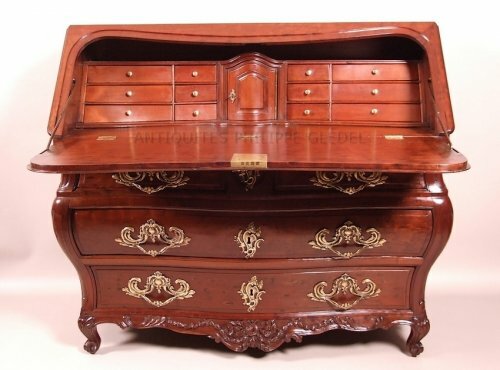 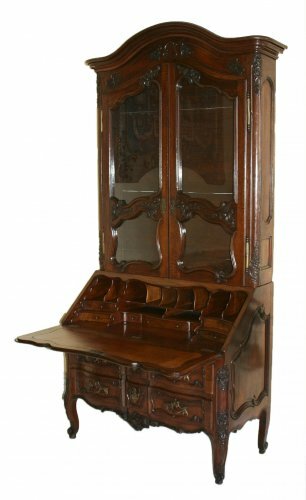 Appearing circa 1730, the bureau de pente, also called a "bureau à dessus brisé" or "bureau dos d'âne" was amongst the desks intended for ladies. 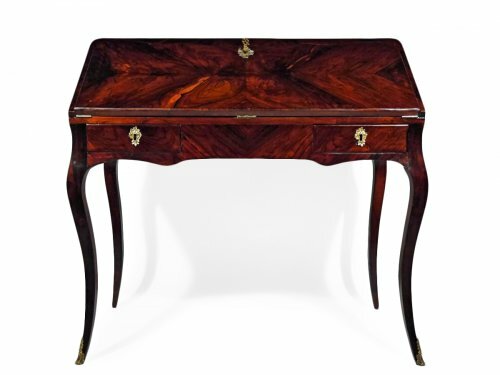 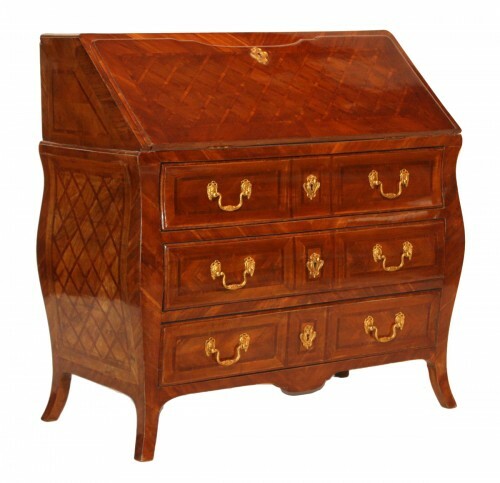 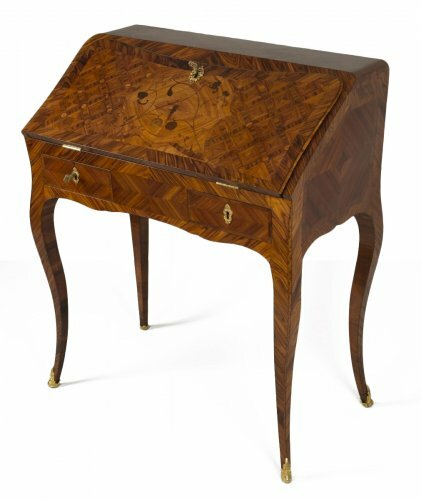 Of small size and great refinement, this desk is opened by an angled lid described as "en pente". 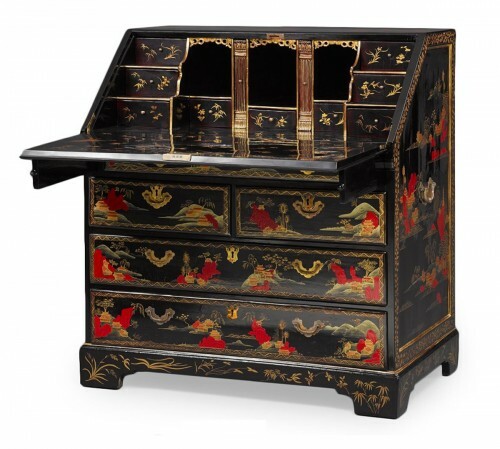 Once opened, it reveals a holder for papers comprised of a series of small drawers, pigeonholes and hidden spaces. 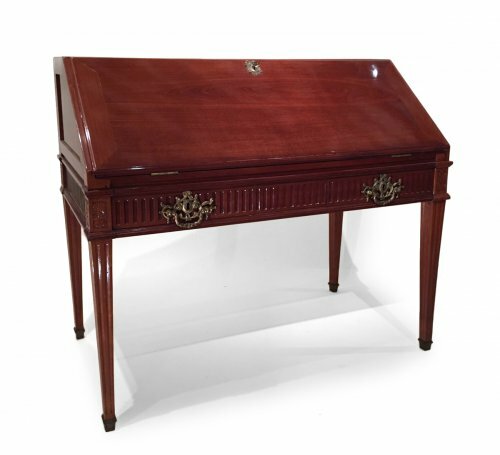 When opened, this lid rests on sliding brackets found in the belt to form the writing table. 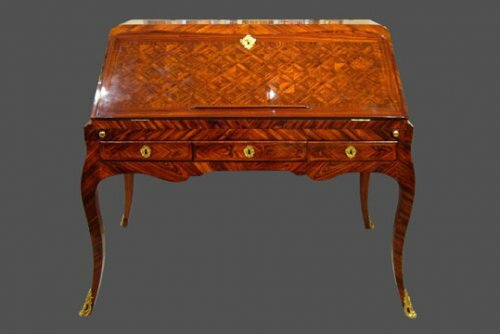 Several years later, these trays were replaced by two callipers in order to hold the lid in a horizontal position. 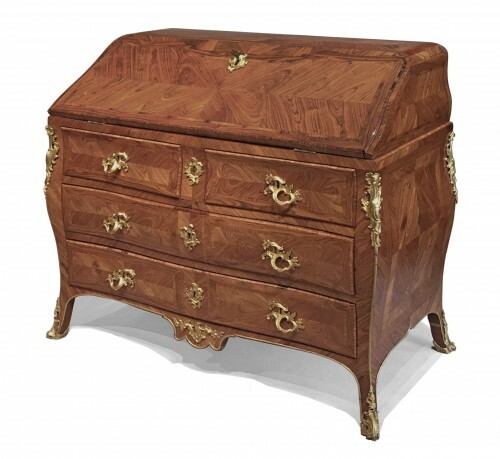 It features a series of drawers on the front along the belt. 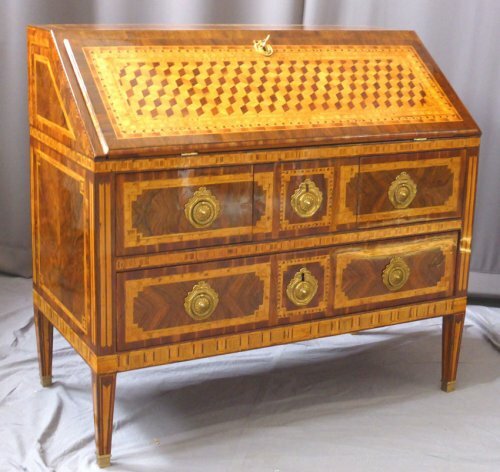 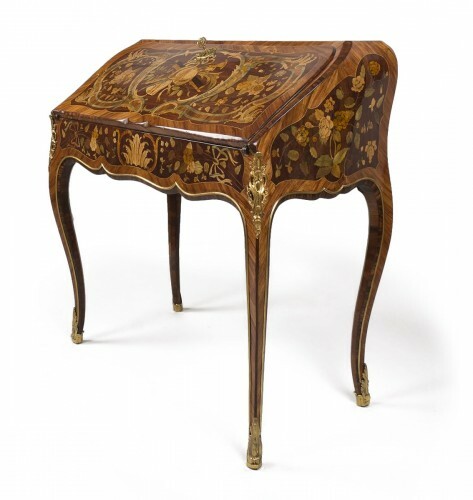 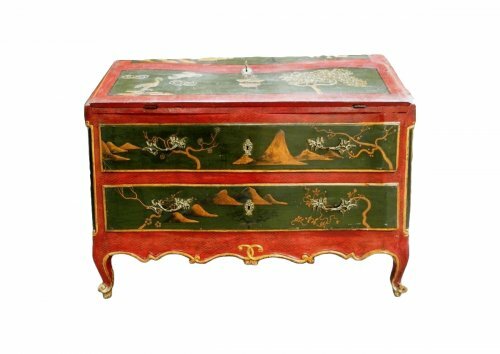 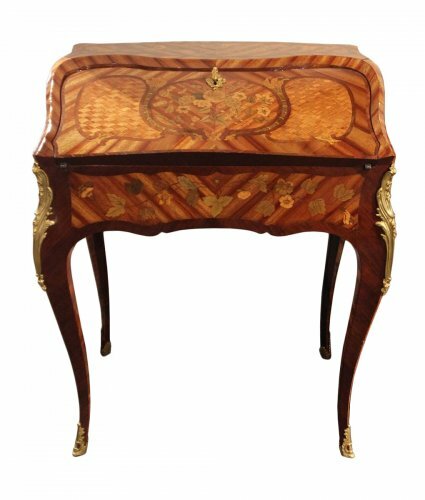 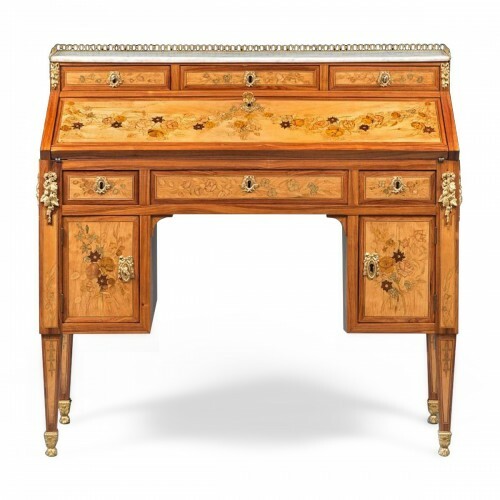 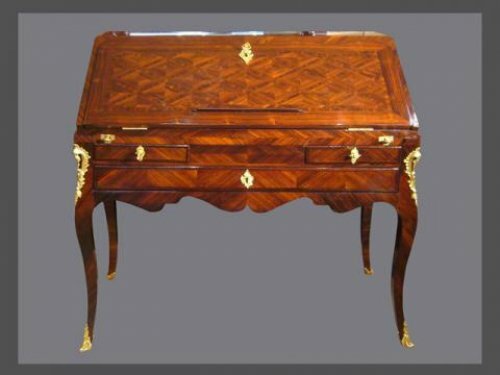 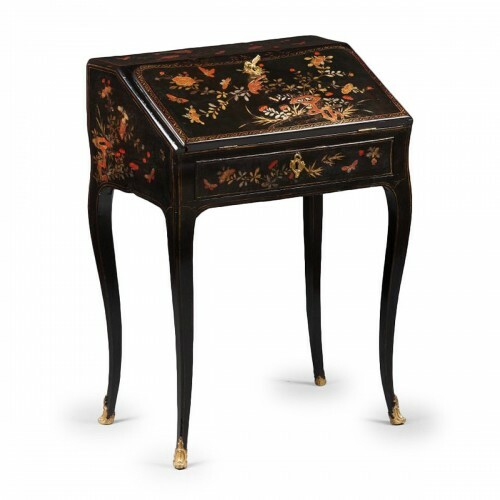 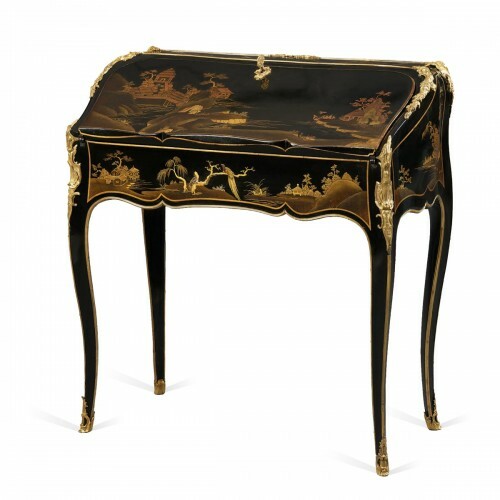 Throughout the 18th century, marquetry and gilt bronze were spotlighted on the bureau de pente.